This is the perfect bohemian piece to add a little delicate charm to your home. 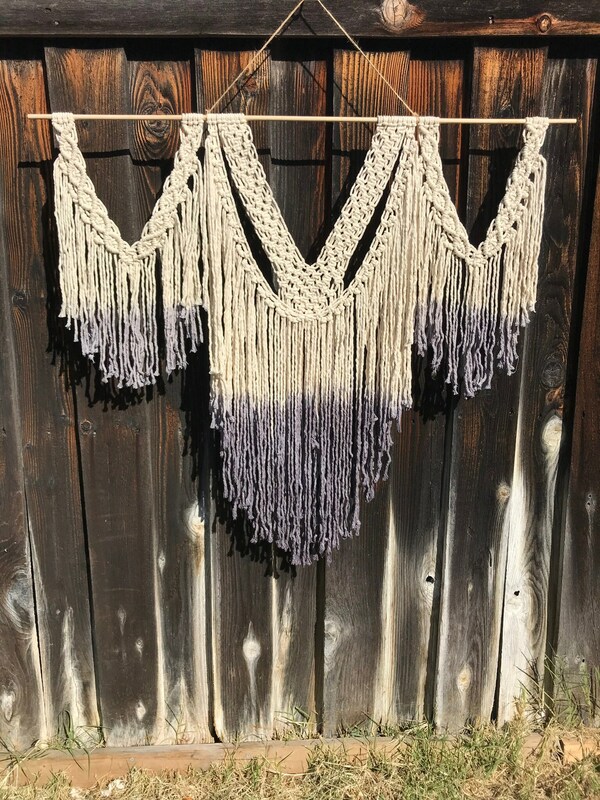 This handmade macrame wall hanging is made of 100% natural cotton rope with lots of fringe and hung on a wooden dowel. It has been dip dyed a beautiful grey/blue/purple. It is the perfect statement piece that would look amazing in a nursery, kids rooms, hallway or living room. It is drapey and romantic.